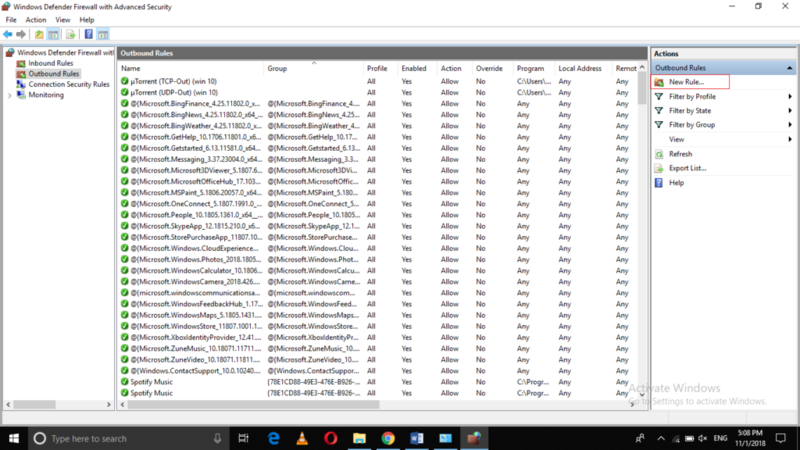 The Firewall is the security defender of the Windows operating systems. 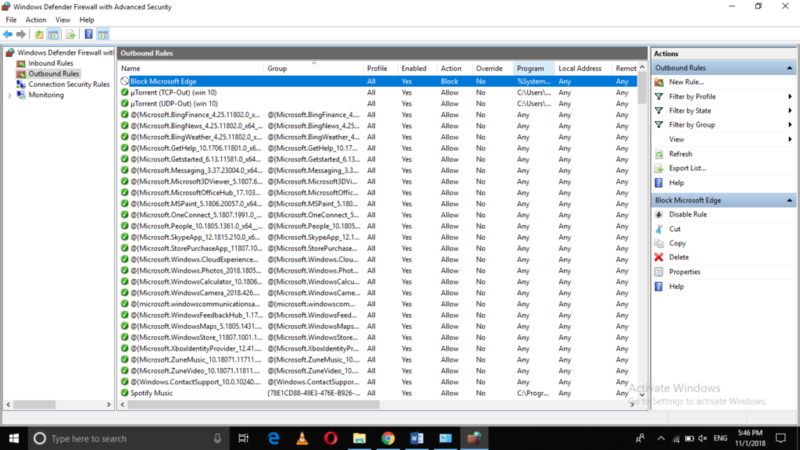 Whenever the Firewall is enabled, it blocks all the unwanted websites or advertisements that can cause harm to your computer system in any way. 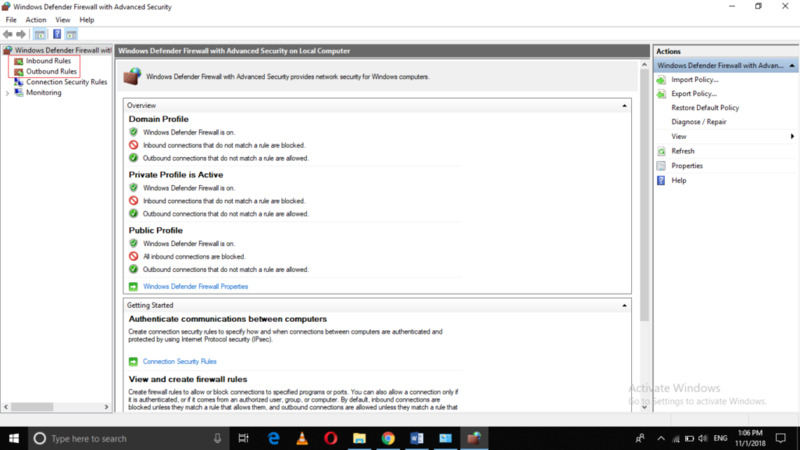 Usually, Windows Firewall has some predefined set of rules according to which it allows or restricts the access of certain programs. 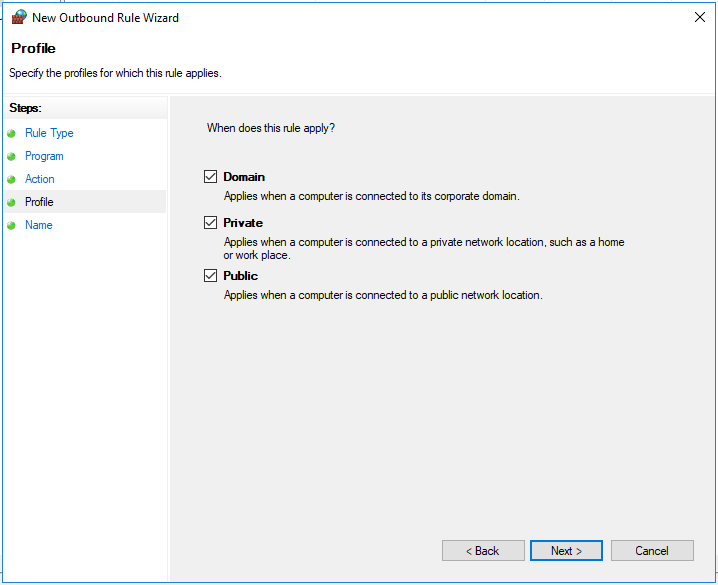 However, you can also create your own advanced rules in Windows Firewall. 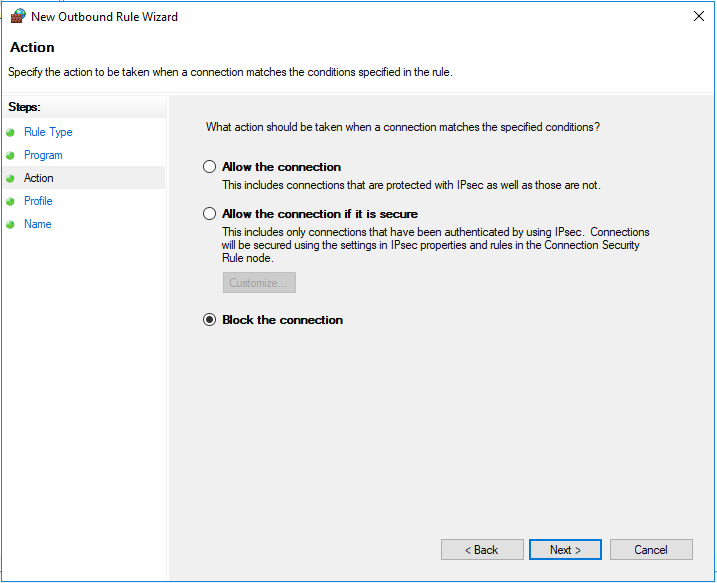 In this article, we will explain to you the method through which you can create advanced Firewall rules in Windows 10 Firewall. 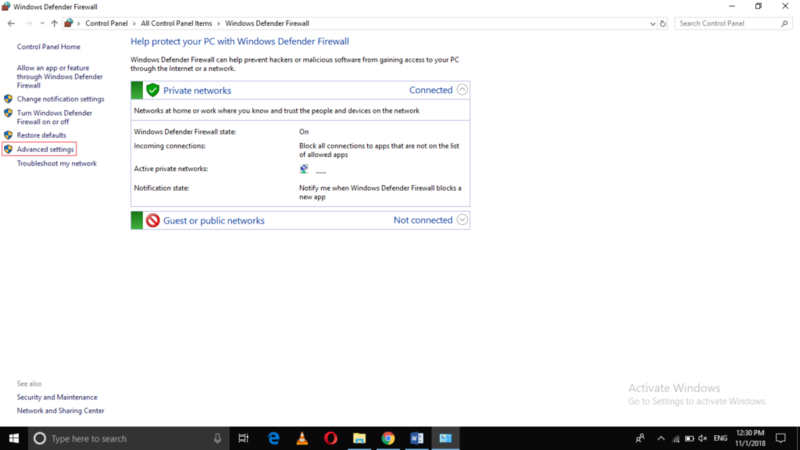 Click on the Windows Defender Firewall tab as highlighted in the image shown above. Click on any of the Inbound or Outbound Rules according to the kind of rule that you want to create as highlighted in the image shown above. 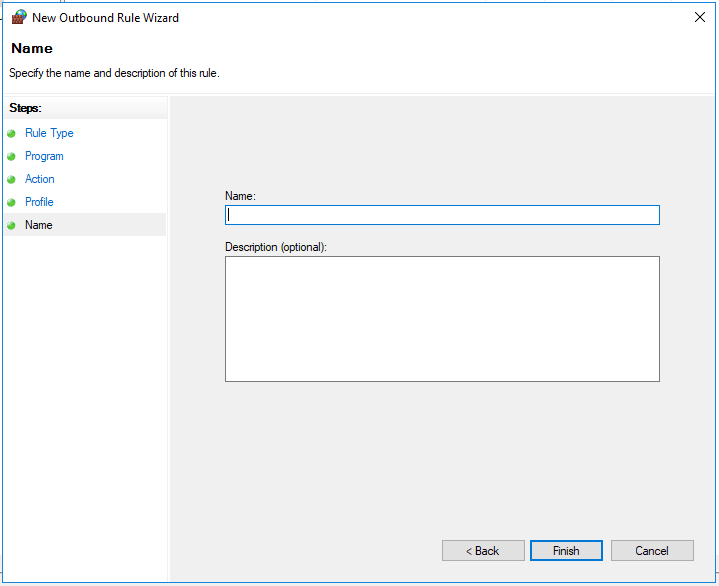 In this example, I will create an Outbound Rule so I will click on the Outbound Rule option. 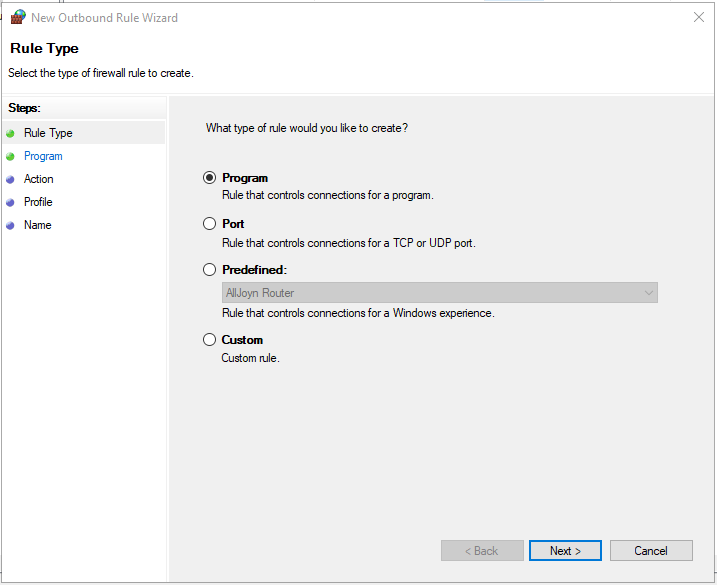 Click on the New Rule option from the extreme right pane of the window as highlighted in the image shown above. 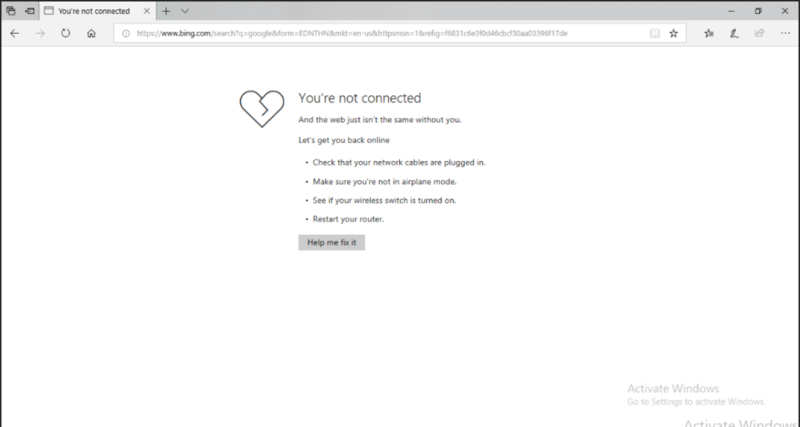 In this example, I want to create a rule in which I will block the connection of Microsoft Edge browser. 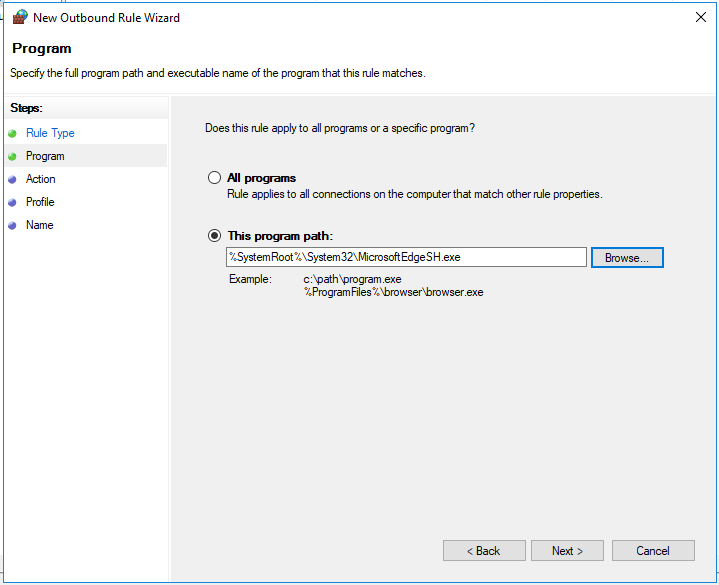 For doing this, I will select the Program rule type and then click on the Next button. 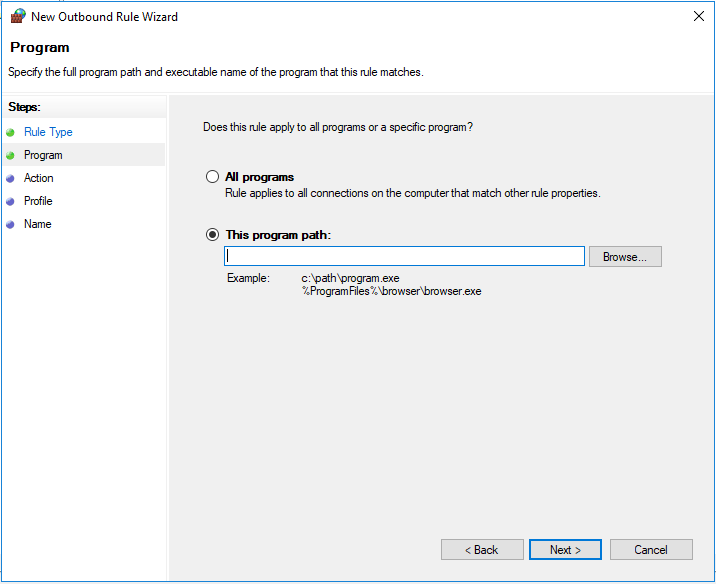 After selecting the path, click on the Next button. Again, click on the Next button. 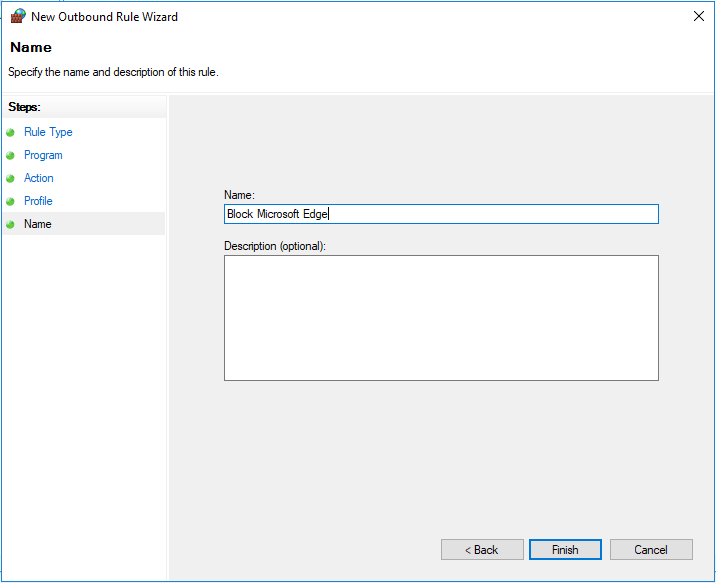 Finally, you will be asked to give a name to your newly created rule so that you can easily identify it among the predefined rules. Just follow these steps in the correct sequence and you are all set to go. 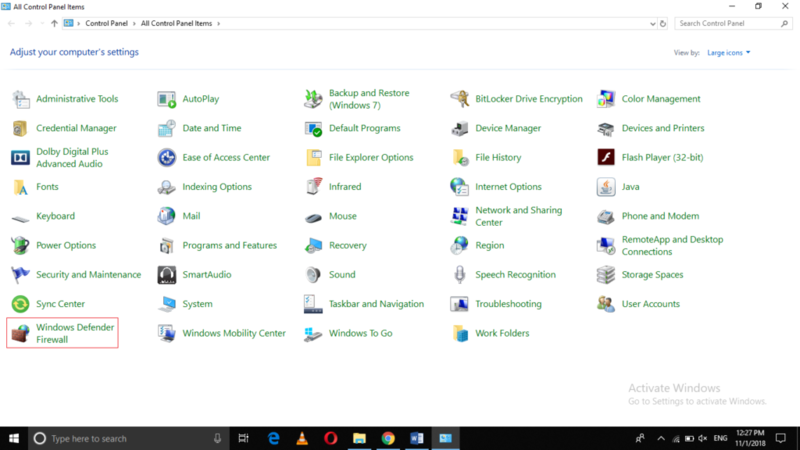 If in any instance, you feel that you no longer need to use this rule anymore, you can simply disable or delete that rule by clicking on it and then choosing the desired option.